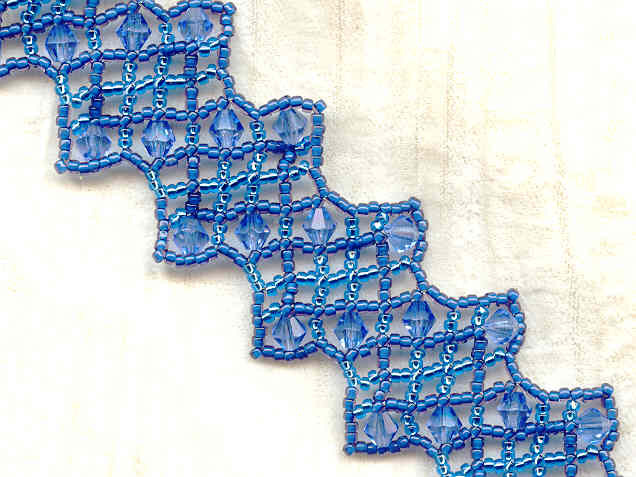 This lacey confection features matte sea blue and silver-lined sapphire seed beads, as well as sapphire blue crystal bicone beads. 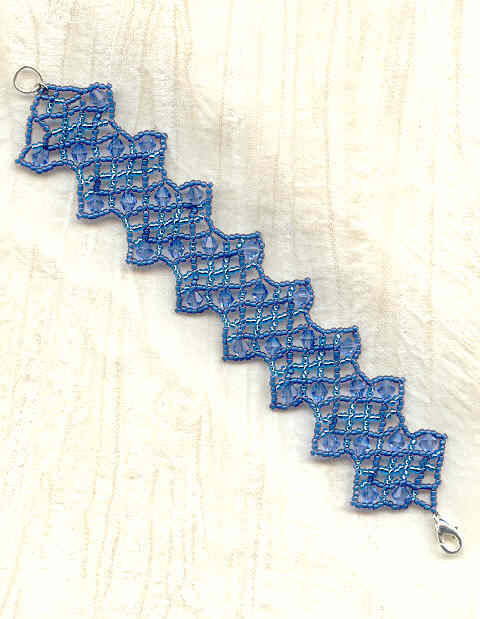 All have been netted into a delicate looking 7-1/2" long by 1-3/8" wide scalloped band that closes with a sterling silver lobsterclaw clasp. 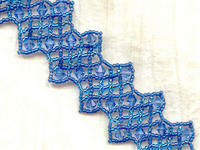 It is unbelievably lightweight and flexible, yet quite strong, too. Wear a crystal necklace designed to get you noticed!